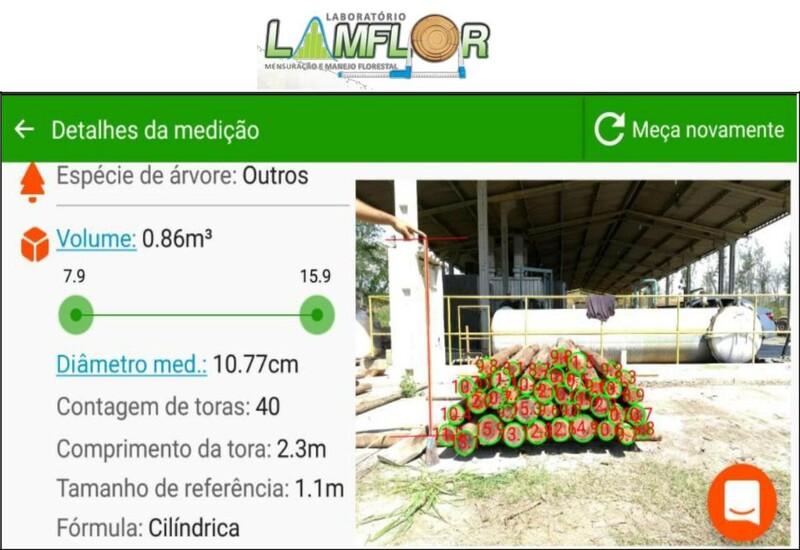 In October, a group of students from the forestry department of UFRRJ, with the guidance of Prof. Dr. Emanuel José Gomes de Araújo and the students Pedro Vaz da Rocha and Julia Martins Dias de Oliveira decided to go to the field to test the functionality of the Timbeter and, in the form of a scientific study, to compare its precision with the most common formulas used in the field of dendrometry: Smalian, Huber and Newton. You can check the results below. “To measure the volume of wood present in a pile, it is necessary to calculate the volume of each of the wood logs in it. 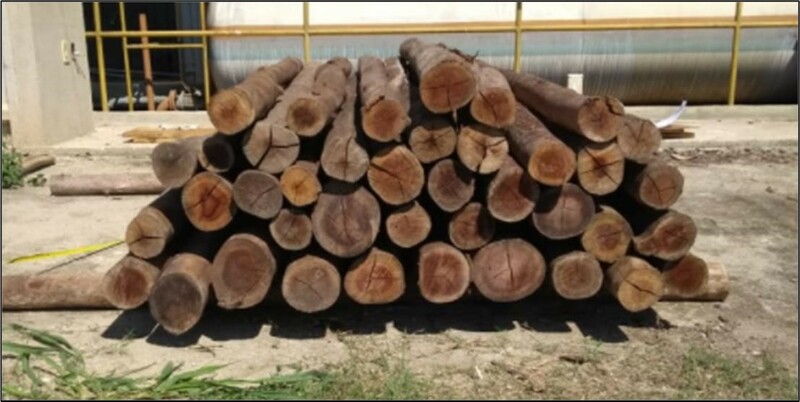 But, for this, it is necessary to know the length of each log and depending on the formula that will be used (Smalian, Huber or Newton) it is also necessary to know the final, initial or central diameter of each one. Because the process is laborious and time consuming, the team decided to use Timbeter to calculate the volume and verify if the result generated by it is like that of conventional methods. The main reason for this study was to use Timbeter as an alternative to the time-consuming methods made manually. 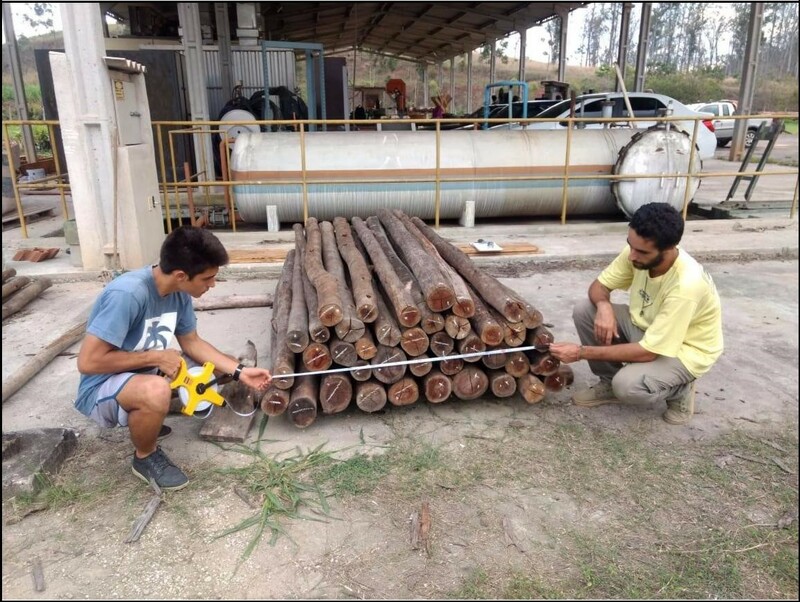 The students stacked a pile with 40 logs, downloaded Timbeter and measured the same stack using the single image mode and the diameter function. Then, they calculated the volume of the wood pile (W x H x L), considering the empty spaces present in it and the volume by the methods of Smalian, Huber and Newton using Excel. Image 2: Pile used on Dendrometry practical study. Image 3: Result generated by Timbeter on Dendrometry class. Image 4: Pile length measurement. “The team concluded that Timbeter application is accurate in the estimation of the volume of wood stacked, taking into account the expectations of operation and results. In addition to streamlining the work, leaving it more dynamic and practical.”. As the conclusion for the study, it shows that results obtained with Timbeter were approved by the group and, of course, we hope it makes classes easier and bring the most accurate measurements to those who are interested in digital data and modernizing the industry. Please check the Report Timbeter – October 2018 – UFRRJ Attachments of the study. 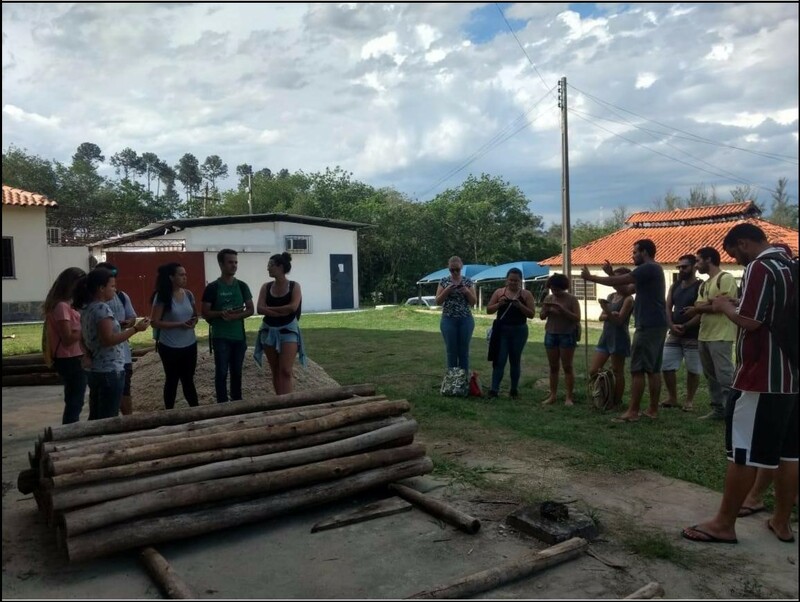 Special thanks to Prof. Dr. Emanuel José Gomes De Araújo, Julia Martins Dias de Oliveira and the students of Dendrometry class on Forestry Department of UFRRJ.